The Domestic Violence Intervention Program is one of the 24 service agencies that have signed onto this open letter. Please read the full letter below. 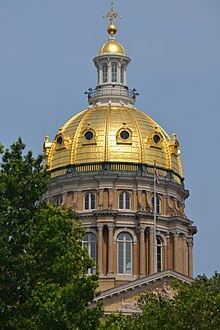 DES MOINES, Iowa – Twenty-four victim service providers serving all 99 Iowa counties and more than 64,000 survivors in 2016 have released an open letter in opposition of a bill to amend the state’s constitution with “Marsy’s Law” (Senate Study Bill 3040 and House Joint Resolution 2003). These agencies are unwavering in their support for victims of domestic violence, sexual assault and other violent crimes, however, they are concerned that Marsy’s Law, while well-intended, is unenforceable and creates false hope for survivors and their families. As victim service providers who are members of the Iowa Coalition Against Sexual Assault and the Iowa Coalition Against Domestic Violence, we unconditionally support victims and survivors of violent crimes. We believe appropriate public policies should be in place to provide survivors with a sense of justice and healing. However, we do not believe legislation like “Marsy’s Law” (Senate Study Bill 3040 and House Joint Resolution 2003) can effectively meet the diverse needs of survivors and communities. Marsy’s Law proposes amending Iowa’s constitution to grant crime victims a series of rights and protections, but provides no meaningful way to exercise those rights. In fact, Iowa law already includes comprehensive victim rights and protections. Before amending the constitution, we should ensure survivors are aware of their rights, and that they have adequate support for the systems and programs that enable them to access their rights. Although we believe Marsy’s Law is well-intended, the language is unenforceable and creates false hope for survivors and their families. Additionally, we are concerned that Marsy’s Law would divert resources away from systems and services that can meet the comprehensive needs of victims. As victim service providers, we provide survivors in all 99 counties with 24/7 free and confidential support and resources. Currently, the state of Iowa provides us with $5 million in funding to go toward these services. These services experienced a devastating budget crisis during the last legislative session with a 25 percent cut in state funds. Additional cuts are expected in the current legislative session, which will affect how much money our programs can access on the federal level. This uncertainty makes it difficult for us to support survivors, especially those living in rural counties. Meanwhile, $5-10 million is spent by lobbyists passing Marsy’s Law from state to state. That’s more money than the state of Iowa invests in sexual assault and domestic violence services combined. We have limited knowledge of the benefits or the cost such legislation would have in Iowa. We believe the price tag for this amendment is not in our state’s best interest. We ask that our elected officials redirect their support toward comprehensive victim services that are already in place. Crime victims and their families suffer terrible loss, and we fully support elevating their voices. Yet amending the constitution without funding the people and systems needed to ensure survivors can access services would be detrimental. The best way to help these survivors is with sustained funding of comprehensive services. We believe Marsy’s Law is an ineffective response to the needs of Iowa crime victims. Clearly, we stand with legislators who want to help survivors. We must continue to work together to address gaps within the current system. Instead of passing Marsy’s Law, we urge policymakers to support a task force that explores and responds to these gaps in a way that centers victims and their experiences and provides a meaningful response. Comprehensive domestic violence and sexual assault services for African American communities. Comprehensive shelter services for 14 counties. Comprehensive Sexual assault and domestic violence services for the Latino communities in Iowa. Comprehensive sexual assault and domestic violence services for the Meskwaki nation. Comprehensive domestic violence services for 7 counties. Comprehensive domestic violence and emergency shelter services for 9 counties. Comprehensive emergency housing assistance, sexual assault and domestic violence for 6 counties. Comprehensive domestic violence and emergency shelter services for counties in Iowa, Nebraska and South Dakota. Comprehensive domestic violence and sexual assault services in 15 counties. Comprehensive domestic violence and sexual assault services for African Immigrant and Refugee communities in Iowa. Comprehensive domestic violence and emergency shelter services for 2 counties. Comprehensive domestic violence services for 17 counties. Comprehensive sexual assault services for 19 counties. Comprehensive sexual assault, domestic violence and emergency shelter services for 20 counties. Comprehensive sexual assault, domestic violence and emergency shelter services for 9 counties. Comprehensive sexual assault, domestic violence and emergency shelter services for 5 counties. Comprehensive sexual assault and emergency shelter services for 12 counties. Comprehensive sexual services for 9 counties. Comprehensive sexual assault and domestic violence services for 10 counties. Comprehensive sexual assault services for 14 counties. Comprehensive domestic violence services for 14 counties. Comprehensive domestic violence and sexual assault services for the Asian/Pacific Islander communities in Iowa. Comprehensive sexual assault services for LGBTQ communities in 4 counties.